-restart in recovery mode, select wipe data and cache. -Select install from sd card and select the room Cyanogenmod downloaded in the first step. -Optional Download Google market apk and copy to sd card then install it from the recovery just selecting again install from sd card. -reboot and thats it, i just flash 3 phones with this metod. Im sorry for my bad english im mexican and im just trying to help. how to download apps from G2 touch n how to upgrade. The factory update settings are a bit weird, because the system searches for update only once per year, so here's what you do... Go to the "Time and Date" settings, and feel free to "fast forward in time", at least some 6 months. You can even set the next year, but, I recommend that you set the month for, say, September or October. Then, the phone itself SHOULD give you a notification, that there's a system update available. Be sure to be somewhere where you have access to Wi-Fi, because it will take some time. Also, it would be nice, if you have made backup to the important stuff, although, when I upgraded my phone, my email accounts, and contacts remained unaffected by the update. So, when the notification comes, proceed with the 2 step process (1st step: ROM upgrade; 2nd step: system upgrade to Android 2.1). If something happens after the first step, you can now easily search for the system update in the "about phone" menu, because there should be a "system software updates" option. This is how I upgraded my phone to Eclair, so I guess that should work for every G2 Touch out there. Good luck. Anonymous, 06 Dec 2010Guys, is the OS upgradable, like 1.6 or 2.1?! - coz im planing to buy this phone.yes.I just upgrade mine to 2.1 eclair.works fine. Guys, is the OS upgradable, like 1.6 or 2.1?! - coz im planing to buy this phone. no keyboard? needs a keyboard! 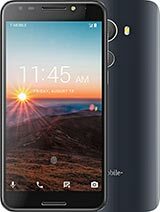 Total of 122 user reviews and opinions for T-Mobile G2 Touch.